Oh my, what a lovely little country. While driving through rural Luxembourg, I thought, “This is what suburban America strives to become.” Every village looked like it was straight out of a planned community brochure. Every little village is pristine, spotlessly clean, immaculate. Every little village is picturesque framed by green rolling hills. Every little village has a satisfyingly organized infrastructure, like buses and community centers. There is no obnoxious signage, no billboards, no excessively tall buildings, just expertly manicured, open pastureland interspersed with beautifully, tastefully, multicolored townships. I could not stop smiling. It was like driving in a fairyland of perfection. I have never seen such a clean and orderly society. While there, I never saw a single piece of trash on the ground and no graffiti until the much larger Luxembourg City. Even then, it was rare compared to other metropolises. That being said, the regimentation also created a bit of anxiety in me after awhile. I’ve lived in Morocco for nearly a year and a half. Where Luxembourgers seem to strive toward an automated, ordered life, Moroccans seem to have a greater appreciation of the fluid, unpredictable nature of existence. Where Luxembourgers seem to want to control every nuance, Moroccans allow life to unfold. The stark difference in outlook left me dumbfounded for awhile. 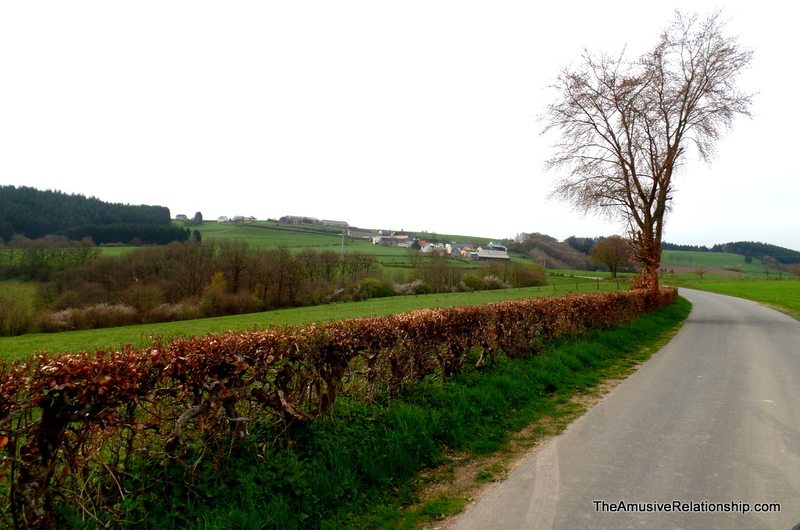 After landing in Amsterdam, Netherlands, I drove immediately to Clervaux, Luxembourg. It made for a late evening and I suspected I had been overly ambitious with my plans. All of this disappeared, however, when I awoke the next morning and began to explore the adorable little country that is Luxembourg. (998 m2), It boasts 53 castles, though many are in private hands and so are not open to the public. I love looking at castles. There is something about their grandeur that appeals to me. While walking through them, I am awash in fantasy about what daily life must have been like. After all, despite the dramatic interpretations we see on television, people lived quite ordinary lives. Kings and queens have dull days just like the rest of us. They became bored, they worried, they fought with their children, they loved their favorite foods. I don’t so much go in for the more regal aspects, rather, I like to imagine them at their most ordinary, their most human. Seeing this within such grandiosity, to me, makes it all the more poignant because the ostentation is supposed to counteract precisely that. It is supposed to obfuscate the humanity of the residents, so as to not belie their weaknesses. Sorry I could not travel all and be one traveler, long I stood in contemplation. I chose some less traveled by, but also some of the more popular ones, and that made all the difference. Below are images and descriptions of my various castle-watching adventures. Northern Luxembourg seemed to have the better claim to my commencement. It meant I had less distance to drive the first day. In researching castles, I discovered there was one in the small town of Clervaux, so I opted to stay the night there and begin sightseeing the next day. 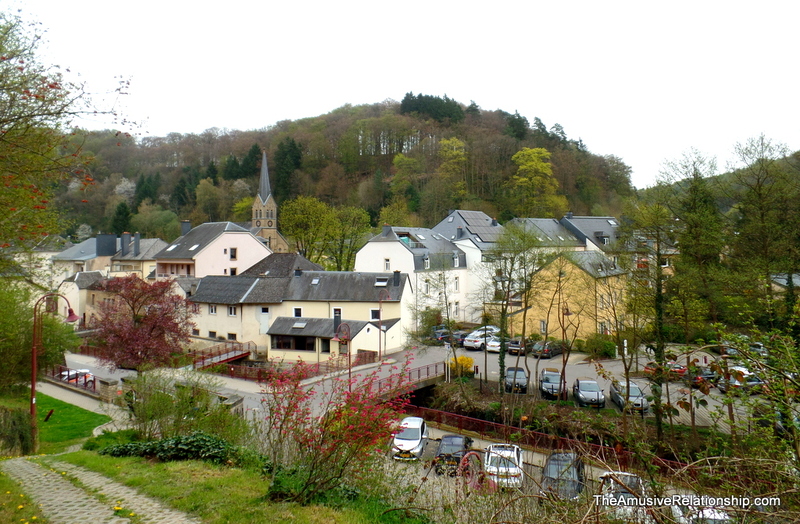 With a population below 5,000, Clervaux is an idyllic little town set in a valley surrounded by lush, green foliage. Not only does it have a 12th century castle, but there’s also an old, but still active Dominican monastery atop one of the hills. Sadly, much of the castle is used as administrative offices, so I was not able to explore much of its interior, but the village itself was wonderful. 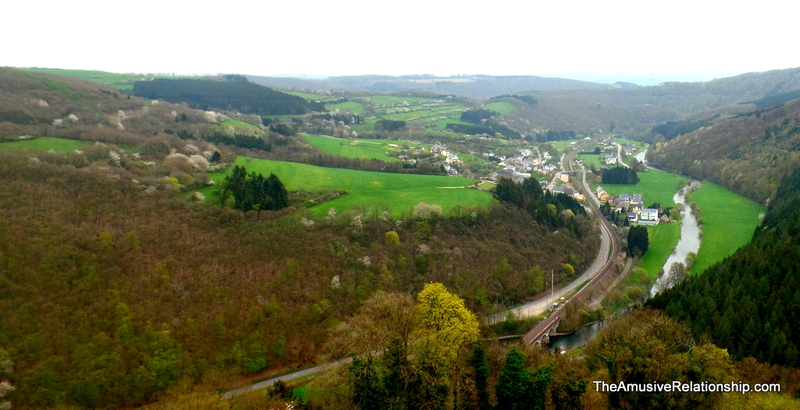 Leaving Clervaux, I headed south through winding valleys and lush rolling hills toward Castle Vianden, arguably one of the most magnificent castles in Luxembourg and located very near the German border. Fully restored, the castle sits atop a steep crag overlooking the small town below. The building is in excellent condition and many of the rooms contain time-period furniture. While walking around I ran into a friendly group of Luxembourgers who offered advice about which other castles I might enjoy given such a short period of time, so list in hand, I headed out, but not before running into a fellow Canadian couple visiting from Manitoba. Even though it was not recommended by the group of locals I met, I passed the sign and decided to check out Brandenbourg Castle. Located in a tiny village, its ruins overlooking the town are difficult to miss. The first in what was to be a theme of my trip was the arduous hike to the top only to discover there was a road to the main entrance. I can’t say I would recommend Brandenbourg unless one was an ardent historian. I enjoyed parts of it, but little of its grandeur remains. 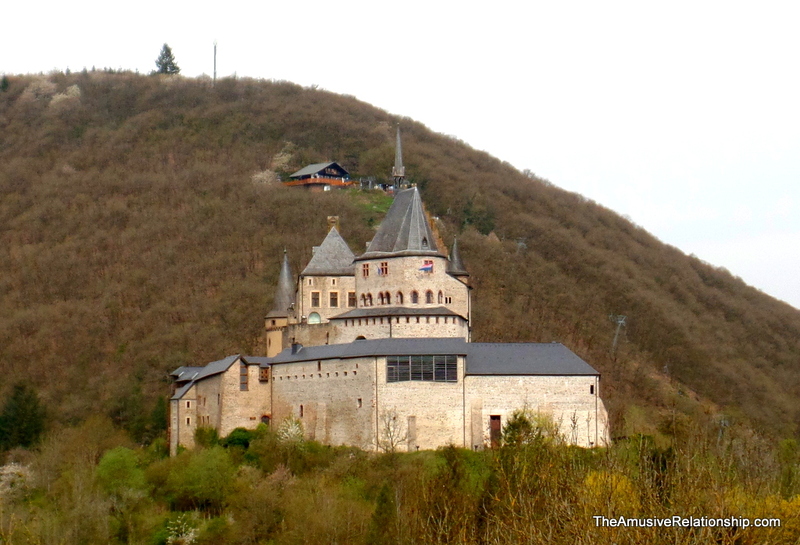 One of the castles recommended by the group at Vianden was Castle Larochette. Like seemingly every castle, it sits atop a craggy outcropping perched above the town. This is perhaps its most interesting feature. It barely fits where it sits and many of its exterior walls stick precariously from the foundation. From a distance, it is impressive. As before, I made the difficult hike to its top only to discover I could have driven. Once inside, however, it was disappointing. One building has been restored, but it’s mostly empty, and the rest of it is mostly ruins. Like the other castles, the town was amazing with tremendous views of the surrounding valleys. Thankfully, my last castle stop made up for what was lacking in the previous ones. Castle Bourscheid was gorgeous. Much of it has been restored and it was somewhat interesting, but that was only part of the interest. What made it so spectacular was the location. It sits atop a large hill surrounded by a river than snakes around on three sides. The views were breathtaking. Within Luxembourg’s largest city are the remains of various defensive posts built into the surrounding rock. The most prominent and well preserved are the Casemates Fortifications (Bock) overlooking old Luxembourg, also called Grund. “With a total length of 23 km (14 mi) and depths of up to 40 m (130 ft), they accommodated 50 cannons and a garrison of 1,200 men. In addition, they had underground facilities for housing equipment and horses as well as workshops, kitchens, bakeries and slaughterhouses” (Wikipedia). First built in 963, many regimes have occupied the area and adapted the defenses to their needs.